This music video (below) has a rather intriguing set of paths that had to cross for it to come to be. The artist who wrote and sings the song is Michele Womble. She’s from Georgia. We would have never met, however, if she hadn’t moved to Novosibirsk, Russia (Siberia) with her husband Joey and, now, their two children. I’m not sure where in Russia I first met her and her family, but our paths have crossed at different times in different parts of Russia. Upon her producing the CD of her music, she sent me a copy (Minneapolis). One day as I was listening to the CD, I realized I had the photos for a video for one of the songs. To make a long story short, he, along with TH, ended up coming with me back to Minnesota to “start a new life”. BK had never been out of Louisiana. It was an interesting time. God did much. During this time, I wrote of the things happening concerning BK and TH for people to pray. Michele and her family in Siberia were praying for these two from Louisiana. Thus Michele came to know BK. Although BK lived in Louisiana, he had never seen the Gulf of Mexico. 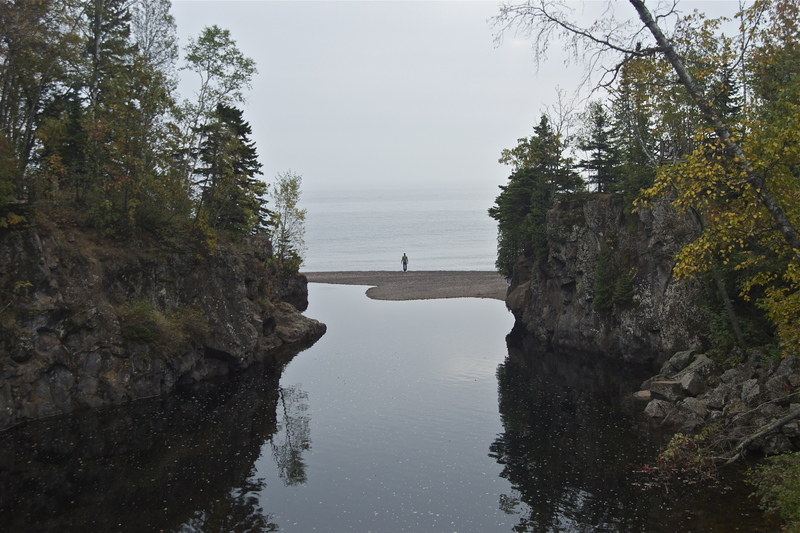 One weekend we drove to the The North Shore of Lake Superior and along the Gunflint Trail which borders Canada. He was in awe of the water and the endlessness of it. He had never caught a fish. All the photos are from these three days. Most are not posed. I just took them as I saw them, as he was. BK and TH are now back in Louisiana. They’ve had both good and hard times. We’ve talked of their coming back. We’ll see. Was the time and resources I gave towards these two worth it? It was for me. I learned much. They “watered” me as much as I “watered” them. In the end, it’s in the Lord’s hands. He determines the results. I’m just a man. It was what I knew God would have me do. I thank God for them. I am grateful for the opportunity to water their lives for a season. I pray God send others into their lives to continue to plant and water. When I told Michele who it was in the video, she said, “That makes it very meaningful.” It’s more so for me. Thus, through many intersecting outside-the-box paths, a music video came to be. Explanation – photos fishing- we are to be fishers of men. It is our work. It is our servant service. Playing the video: It works best in HD and large screen. If your connection speed is slower than the video, do this: click HD (upper right hand corner), open the large screen, and hit “Play”. After it has started, hit the pause button. The video will continue to download. Then when it has fully downloaded, hit play.